2、Xi L, Junjian Z, Yumin L, Yunwen L, Hongbin W. Serum biomarkers of vascular cognitive impairment evaluated by bead-based proteomic technology. Neurosci Lett.2009 Sep 29;463(1):6-11. 3、F. Qiu, H-Y Liu, Z-N. Dong, Y-J Feng, X-J Zhang, Y-P Tian. 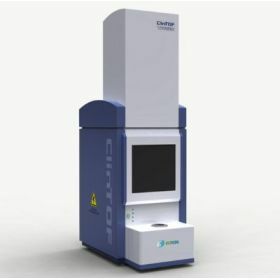 Searching for Potential Ovarian Cancer Biomarkers with Matrix-Assisted Laser Desorption/Ionization Time-of-Flight Mass Spectrometry. Am. J. Biomed. Sci. 2009;1(1), 80-90.